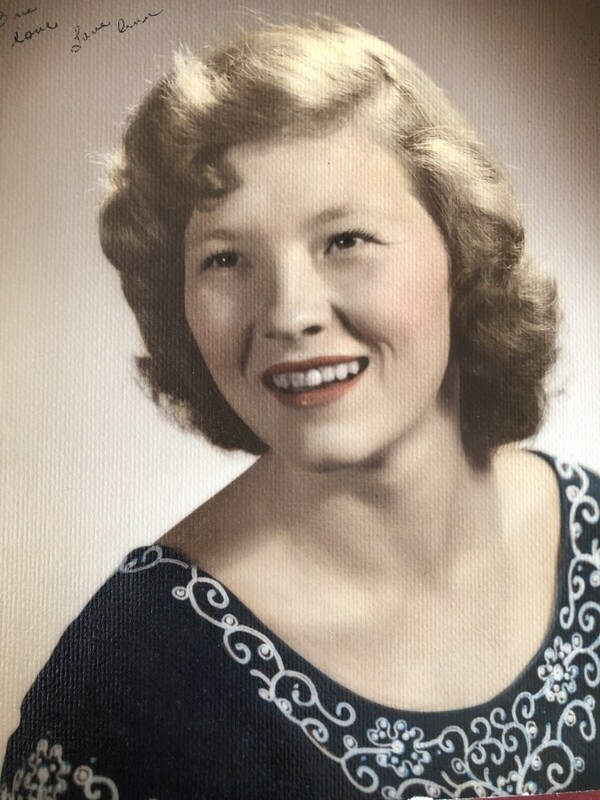 Obituary for JoAnn Marutz | Pearce Funeral Home, Inc.
Gratiot Lake: JoAnn Marutz 79, of Gratiot Lake passed away peacefully at Aspirus Hospital on April 2, 2019. Her generosity and optimism were a sign of her faith in Christ, and also her source of great strength and wisdom. She began her first chemo treatment in 1998 and fought a long courageous battle with cancer with her beloved husband by her side. She was born in Creal Springs, Illinois on March 19, 1940 to Willam and Jane (Burst) Sullivan. She married Herbert Marutz of Hancock, Michigan in 1957 while he was still serving in the U.S. Navy. They bought their first home in Phoenix, Arizona and soon were blessed with 4 wonderful children. In 1975, they moved the family back to the Upper Peninsula and settled into family life in Calumet, Michigan for the next 10 years. JoAnn was active in local politics and served as the Calumet Village Clerk, which she enjoyed very much. Another employment opportunity, kept them in the Upper Peninsula with a move to Quinnesec, Michigan. Here JoAnn served as the Breitung Township Clerk for many years while Herb worked at the Quinnesec papermill until retirement in 2002. The next 17 years were filled joy as they watched their family grow from 4 children to many grandchildren and great-grandchildren. These happy years were filled with family, friends, travel, building, gardening, canning, and continued service in the community and in their church. They enjoyed volunteering together at Eagle Harbor lighthouse as tour guides. She truly is a loving wife and mother, a respected teacher and leader, and a genuine friend to many. She inspires us to always be our best self with her words of encouragement and wisdom. One friend said, “She always told me that I could do what I needed to do. She saw something in me that I never saw in myself before I knew her love”. This was true for her family too. Her childhood wish was to have a happy family which she made happen with her lifetime dedication to love and serve us. She leaves behind her devoted husband Herb, daughter Joann Marutz Theobald, and sons Jeffrey, Jerry, and Jamie Marutz. Her delightful grandchildren, great-grandchildren, and extended family and loved ones, as well as good friends from many areas have been blessed by her good example. Her presence will be greatly missed among her friends at The Church of Jesus Christ of Latter-Day-Saints and her many friends and neighbors on Gratiot Lake. There's still time to send flowers to the Memorial Service at the The Church of Jesus Christ of Latter Day Saints at 2:00 PM on May 11, 2019.